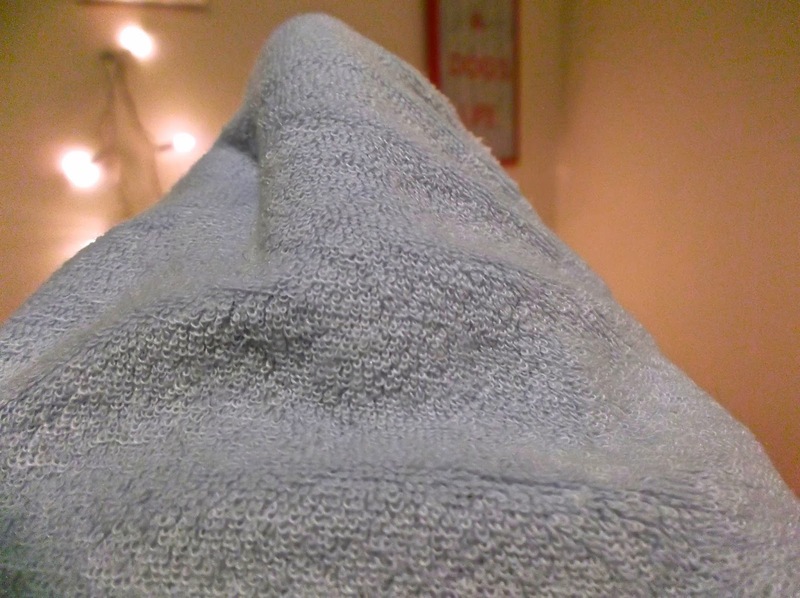 Jesska Denise: Cleanse Off Mitt. 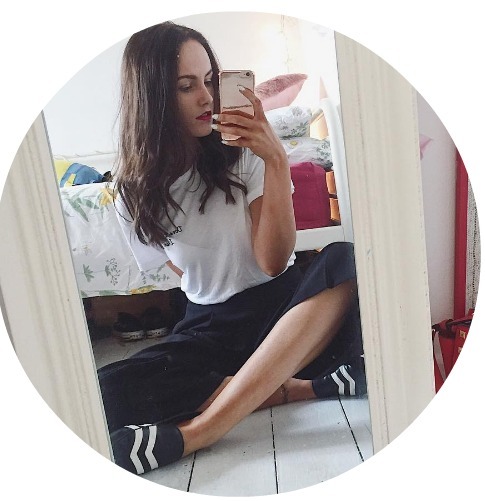 The 'Cleanse Off Mitt' is currently taking the #irishbbloggers by storm. Pretty impressive considering they've barely just launched and it's one of the most talked about beauty items on my timeline. We all love a good Irish product. I'm not going to lie, I was pretty wary at first. 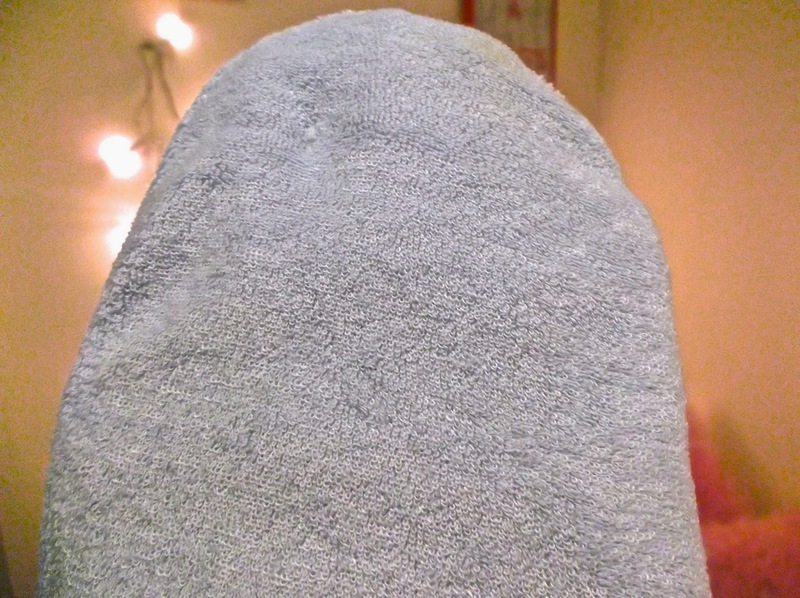 The idea that this simple mitt could remove all my make up seemed a little far fetched. 'Just add water'? Hmm doubtful. The mission statement behind the 'Cleanse Off Mitt' is to stop people using baby wipes to take off their make up. For me this is a big no no no so I'm loving their whole 'Say bye bye to face wipes' slogan. I NEVER use make up wipes unless I'm really stuck so I'm always horrified when I hear of people who use them on a regular basis. They're not good for your skins girls. No matter how much they claim to be. Surprisingly this isn't the first time I've heard of a mitt like this. I was already familiar with a similar style mitt from 'Nima' which promises to do the same thing yet is almost triple the price at 12.95€. 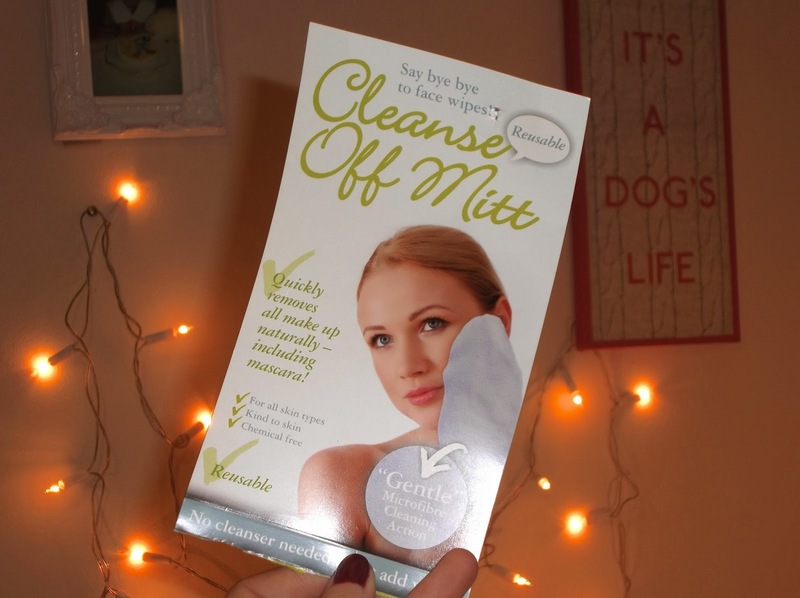 The 'Cleanse Off Mitt' is currently 5€ from Beauty Emporium and is available here. Cheap as chips. I'm sure you're all wondering why the price is so low in comparison to the Nima mitt. Well you see 'Cleanse Off Mitt' are determined to keep their prices low so they don't alienate any potential customers. They don't want anyone to miss out which is brilliant. My current make up remover is about 5€ anyway and add the cotton wool to that and it's 6€ every few weeks. So far the mitt is lasting really well and I'm sure I won't have to purchase another for a good while yet. They're meant to last three months. I've been using the mitt for over a month now. When it comes to skin products I like to be very thorough and that's why this review has taken so long to appear on the blog. I've really put this mitt to the test. I first used it when I was wearing minimal make up. I wasn't expecting much but then I looked at the mitt after rubbing it over my face a few times and it was covered in make up. I was pretty impressed. I was even more impressed when I used it after a night out and again it managed to clean my whole face with a bit of water. 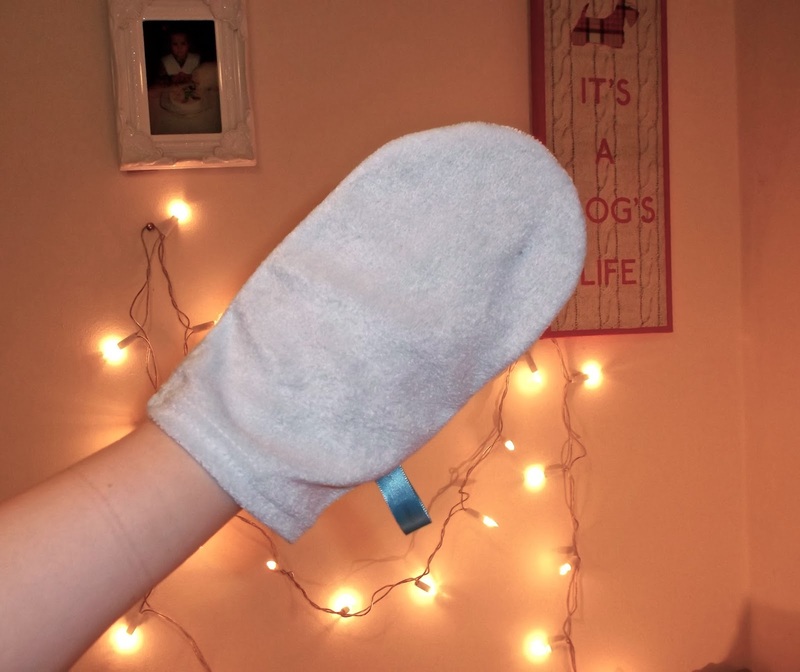 I especially like using the mitt for removing eye makeup. I hate having to the tug at my eyes and with this mitt I can easily get it right up into my eye to remove stubborn eyeliner and mascara. To make sure it had fully removed my makeup I went back with my cleanser and cotton wool and there was nothing left to come off my face. It was squeaky clean. I didn't think it took any longer to remove than the cleanser and my face felt so much better afterwards. So soft. The magical removal is all down to the tiny microfibres that make up the mitt. As you can see from the above picture they're miniscule. The fibres get right in under your make up to lift it off your skin and leave your skin as fresh as a daisy. Now the boring stuff - washing the mitt. I had been using some regular soap in between heavy machine washes just to keep bacteria at bay but a friend recently suggested using some of the Johnson's baby shower gel and I find that works a treat. After a couple of rinses it's like new again. Washing the mitt doesn't affect the fibres in the slightest and I've found there's no break down in the overall condition of the mitt. If you have normal or sensitive skin this will work wonders. I have raved about this to all my friends who are really eager to get their mitts on it and I'm sure you guys will be too. I bring it every time I go to stay somewhere. Travel friendly. If you have any questions (like I did) make sure you check them out on twitter @CleanseOffMitt where they're more than happy to make a believer out of everyone.